This is the final instalment of our four-part Easter series presenting and celebrating some of the islands which decorate the edges of this island nation. Our final destination is Grímsey. Grímsey is an Icelandic geographical phenomenon inasmuch as it is the only part of the country to lie within the Arctic Circle. 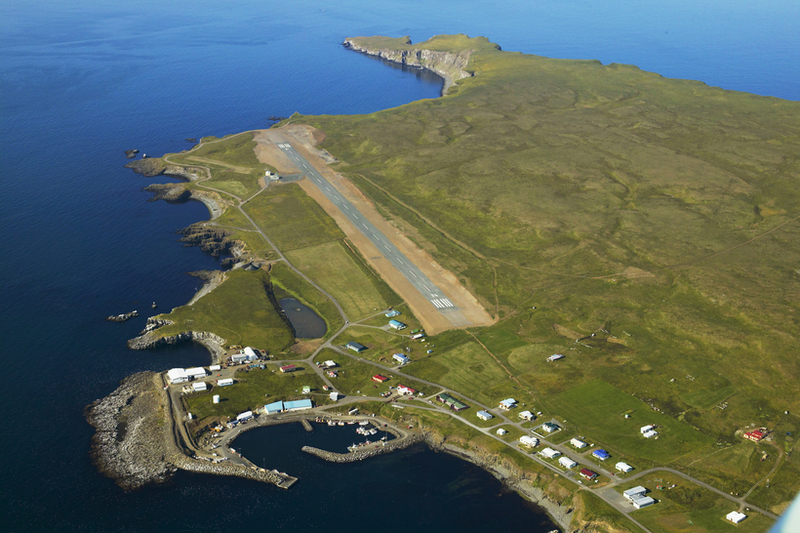 The Circle cuts through the island, which is therefore blessed with midnight sun throughout the summer months. 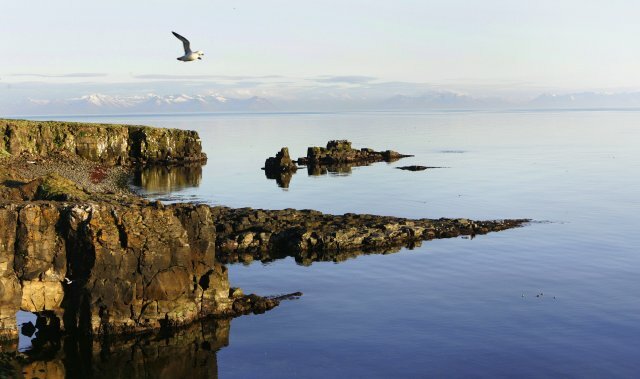 It is Iceland’s northernmost inhabited area, with a population of some 100. The population is mainly engaged in fisheries, while tourism also plays an important part in the island’s economy. 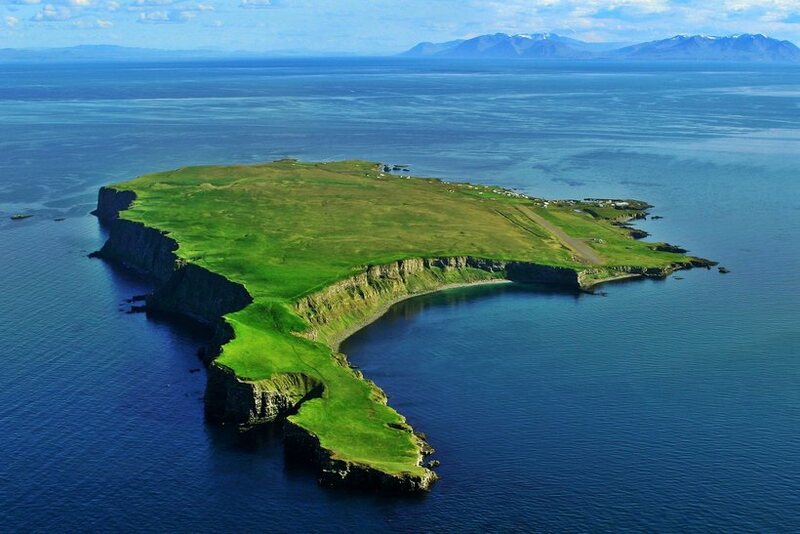 The landscape is lushly vegetated and features stunning cliffs along much of Grímsey’s coastline. 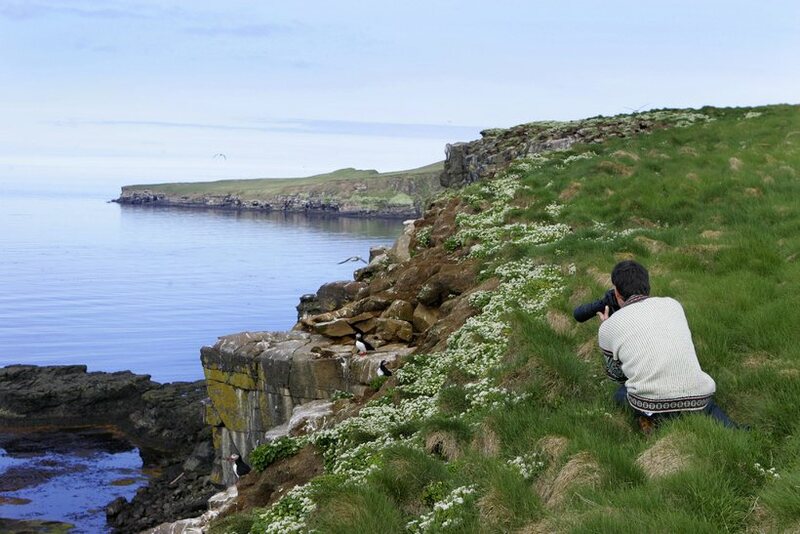 This island is home to dozens of species of bird and agriculture is an important islander activity. The island’s single settlement is called Sandvík. Air Iceland operates three round trips to Grímsey from the northern town of Akureyri during the winter season, with frequency increasing to daily over the summer. Prices are currently quoted as €67-112, one way. Flight time: approx. 30 minutes. The ferry Sæfari sails return services between the North Iceland port of Dalvík and Grímsey once a day in winter and twice a day in summer. The price for an adult passenger is ISK 4,830 (€34), and for a normal-sized car ISK 5,912 (€42). Crossing time: 3 hours. 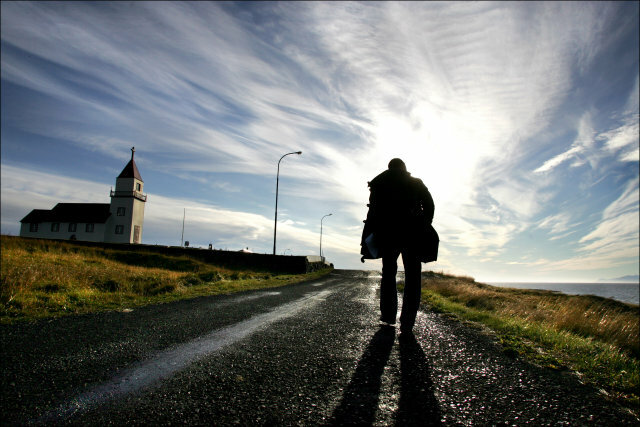 There are a few listed guesthouses in Grímsey and camping is also a viable option. For more information, see the official Akureyri website on services on the island here. Crossing the Arctic Circle line is one of the main pull for many visitors to the island, as well as the pureness of the nature during the sunny nights. 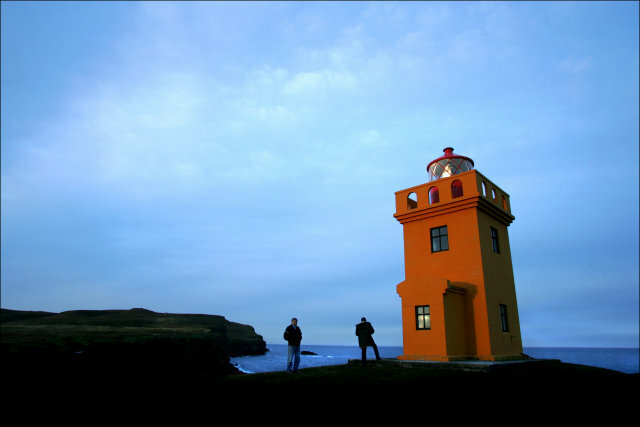 Bird-watching, walking and fishing are popular activities in in Grímsey, while visitors can also enjoy seeing the island’s church, lighthouse and cliffs. 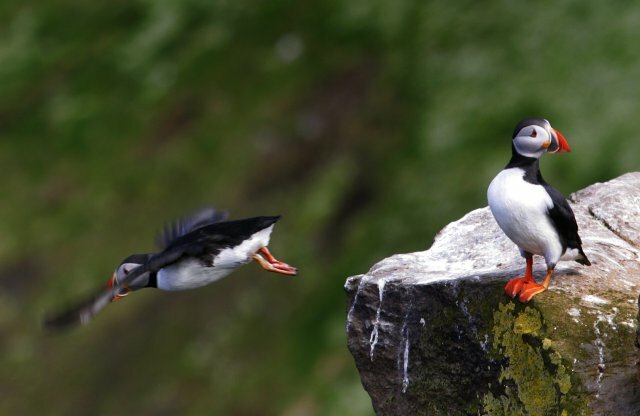 This summer Ambassador Tours will be running a six-hour whale-watching trip to Grímsey and the surrounding area, details of which can be found here. Keep an eye out too for polar bears on blocks of ice, as they have been known in the past to wash up on the shores of Grímsey (although admittedly not since 1969! ).